Update your CUSTOM SAT Template to Responsive Design! Update your CUSTOM SAT Template to Mobile Responsive Design! In September I wrote about the up-coming 2017 eBay update on Active Content rules and how they affect our Spicy Auction Templates. To summarise – our templates DO NOT use any active content and are perfectly safe to use with these new rules in place. I already mentioned that while our pre-made SAT templates are not responsive, as they’re simple one column designs, they still work and look ok on mobile devices. With that being said, I always want to offer the best service to my customers so I’ve decided to update all SAT pre-made templates to a responsive design in the up-coming months. There will be no extra charges for existing SAT customers – just like with the recent EAB Amazon update, you get it all for free! Today I wanted to make a quick post to announce two changes to our custom design template service. First off, all new custom templates we create as of now are Mobile & Responsive templates by default. We have been testing & trailing our new templates for the last few weeks and they look beautiful on mobile devices and work perfectly with eBay’s new Seller Hub system. We also do an extra bonus for all custom template orders now – we design a Shop Billboard header banner which you can easily upload to your eBay shop and get that professional store front look. Please note, this only works with the new shop format, which you get by default if you open a shop. From what I see, eBay has no plans to continue with the old shop format for too long a time, so we decided to switch over to the new Shop layout/style and offer this Billboard header image as a free gift. Secondly, we now offer an UPGRADE services to previous custom template customers! This new service will be a good option for people who have previously ordered a custom template from us and want to make it 100% responsive and mobile friendly. With this new service we’ll slightly re-design your template so it’s suitable for mobile and then re-code it from scratch to make it responsive. 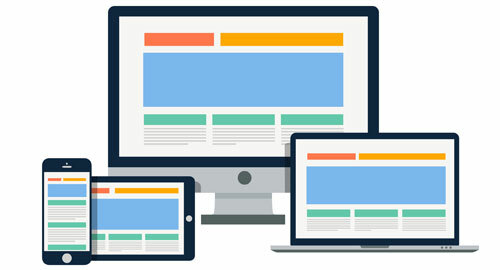 Responsive means that the template will automatically change based on the device people use to look at it. This means that your images, description, shop promo banner and everything else will be the perfect size no matter what device people are using to view your listing – be it a desktop PC, a tablet or a mobile phone. This service costs £147 and that includes the re-design, re-coding and shop Billboard header image. Please note that this price is just to cover my designer and coder’s time. I do not make any profit on this and basically do the project management for free, just to help my customers get their templates responsive and 100% mobile friendly. If you’re interested in this upgrade service, please get in touch with me via my Helpdesk here and I will get back to you within 24 hours, Mon.-Fri., if not sooner.